Écrivez votre texte de personnalisation ici. Let me know your text here. This custom Clock in wood will be a pefect gift for nature lovers. Round flower shape and pattern. 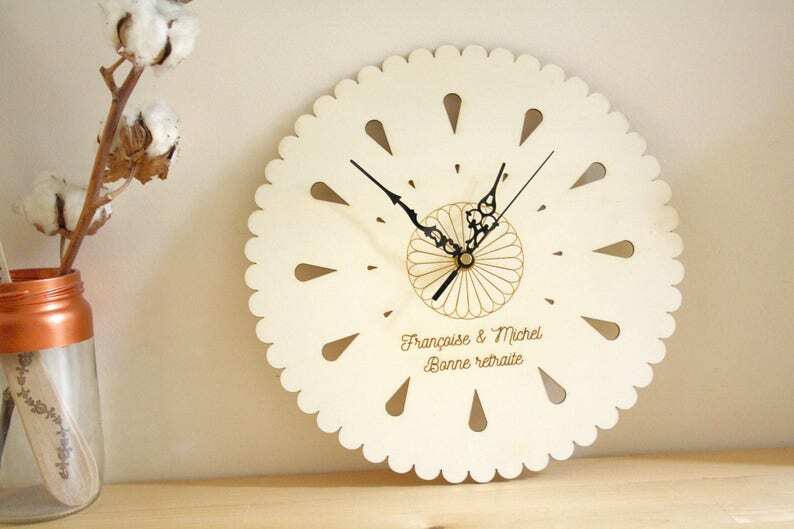 This clock will be personalized with your text engraved (names, initials, wedding date...). The price include the personalization. Natural design, poetic home decor. 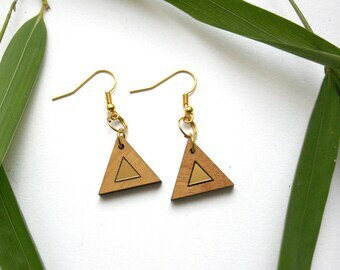 ▲ The wooden shape is laser cut, laser engraved and then sanded and assembled by hand. Clock made on demand in France. Wood round size : 28 cm diameter = 11 inch. 3 clock hands in metal, black color. Silent movment. ▲▲▲ HOW TO PERSONNALIZE YOUR CLOCK ? When you order, let me know your text in the cart or send me a message on Etsy with the text you would like me to engrave (name, surname, initials...).